Moms and dads are busy. When it comes to cleaning our house, we want cleaners that get the job done fast and right the first time. But what about safely? 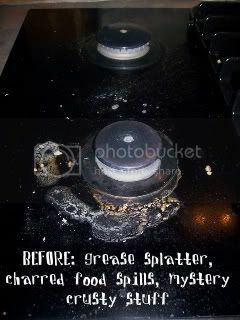 Many of us are convinced that we need chemicals like bleach and ammonia to get our home clean. Pregnant women are are instructed to avoid the VOCs (volatile organic compound) of common household products like cleaners and paint, but what about exposure to your newborn baby, toddler, or preschooler? The nervous system and organs of young children are still vulnerable, so why would you want to use toxic cleaners around them? A slew of research studies are coming out exposing the health hazards of household cleaners (see U.S. News article, EPA report, Women's Voices report). I can't imagine any parent will want to spray their kitchen counter or bathtub with octylphenol after reading these reports. So, what is a concerned parent to do? You could make your own cleaners from natural ingredients like vinegar and baking soda. But if you aren't into mixing potions, there are natural cleaning products on the market if you know where to look. 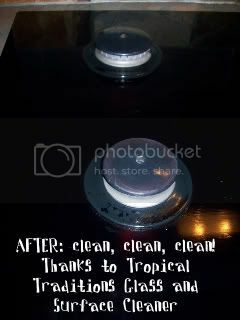 Tropical Traditions makes a line of natural cleaners that won't pollute your indoor air or poision your family and pets. I recently reviewed the Glass and Surface Cleaner which was handy because my house has lots of mirrors and windows, plus a glass cooktop that is a pain to clean. Buy It: Tropical Traditions Glass and Surface Cleaner normally retails for $22.50 for an 128 oz jug, but is on sale for $12.99 for a limited time! 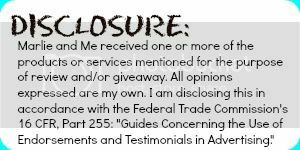 You can also receive a complimentary copy of the Virgin Coconut Oil book with your first online order by typing in my User ID # 5632947 when selecting "Referred by a friend" under the "How did you hear of us?" drop down menu after you complete your account information. The book will be automatically added to your order. If you have problems, please contact customer service and someone will gladly help.Win It: Thanks to Tropical Traditions one lucky Marlie and Me reader is going to win an 128 oz jug of Glass and Surface Cleaner! I'd love to see how their dishwasher detergent works! I would also like to try their dish liquid. I'd love to try their liquid dish soap. I would love to try the powdered dish detergent. I would love to try the botanical disinfectant. I would like to try the liquid dish soap! Interested in the powdered dishwasher detergent. I'd like to try their Dishwasher Detergent. I would love to try their dish liquid! I would love to try their dish liquid.